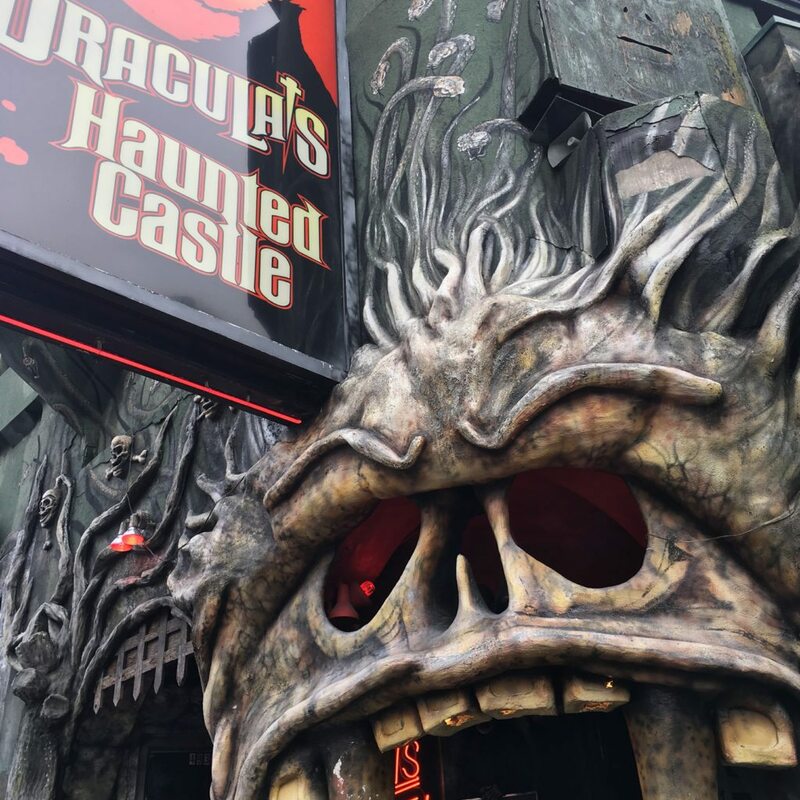 One thing you will notice on Clifton Hill is the abundance of “haunted houses” and scary-themed attractions. It goes without saying then that Halloween is a popular time of year here. 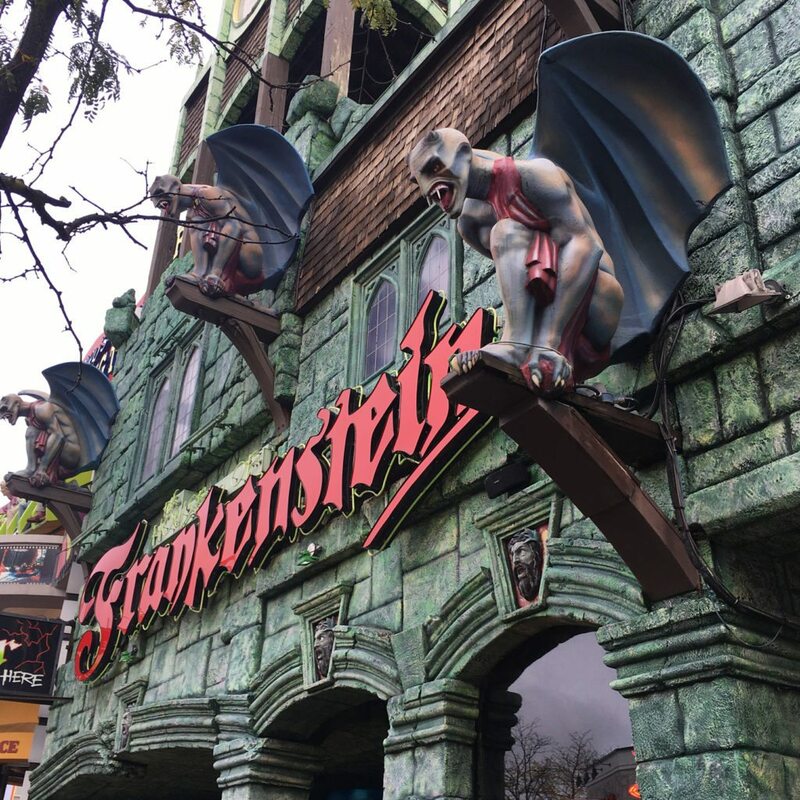 Here is our Top 13 list of “scary” things to do on Clifton Hill. If at any point you get too frightened to continue, simply call out “Nightmares!”, and you will be safely escorted out and added to the over 147,000 that have chickened out to date! 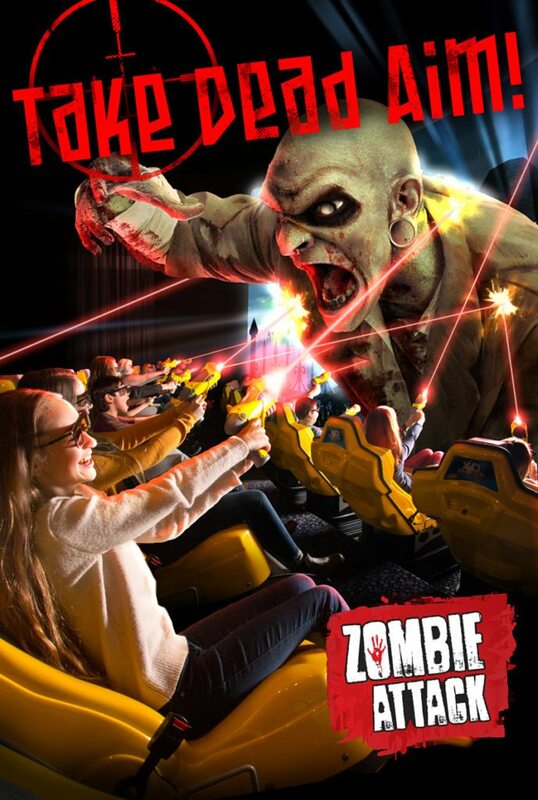 One of Clifton Hill’s newest attractions, and arguably the most exciting that will leave you on the edge-of-your-seat is Zombie Attack. 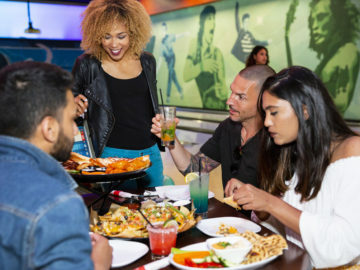 This is a 6D multi-sensory adventure ride in which you compete against everyone else in the theater with you. All you have is your gun and an army of flesh-eating and hungry zombies on your tail! Will you be the champion of mankind? 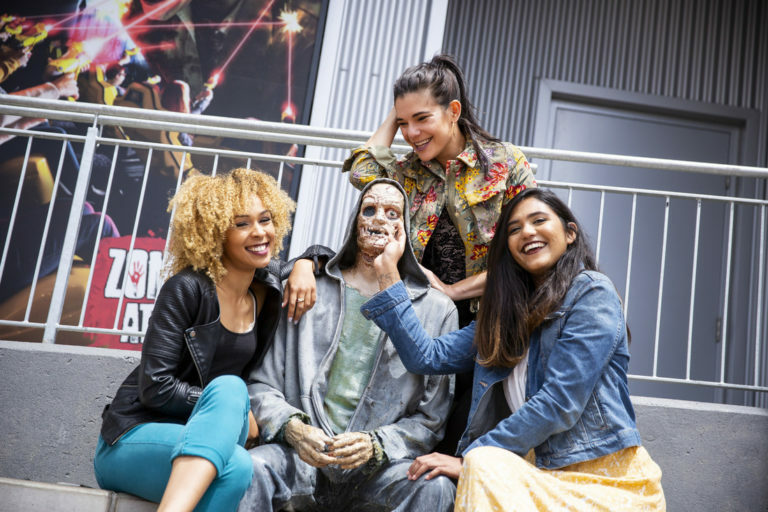 If wax museums freak you out, than you may want to skip the “House of Horrors” towards the end of this self-guided tour. 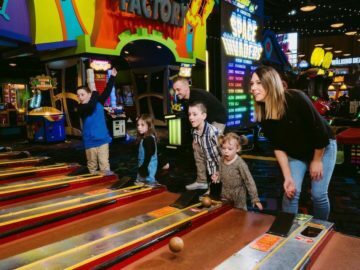 Movieland Wax Museum gives you the option to opt out of this part of the museum with a “chicken exit” for the faint of heart. The scariest of horror characters in the movies, moving animatronics, a maze of mirrors — and something special at the end will leave you with a chill in your bones! 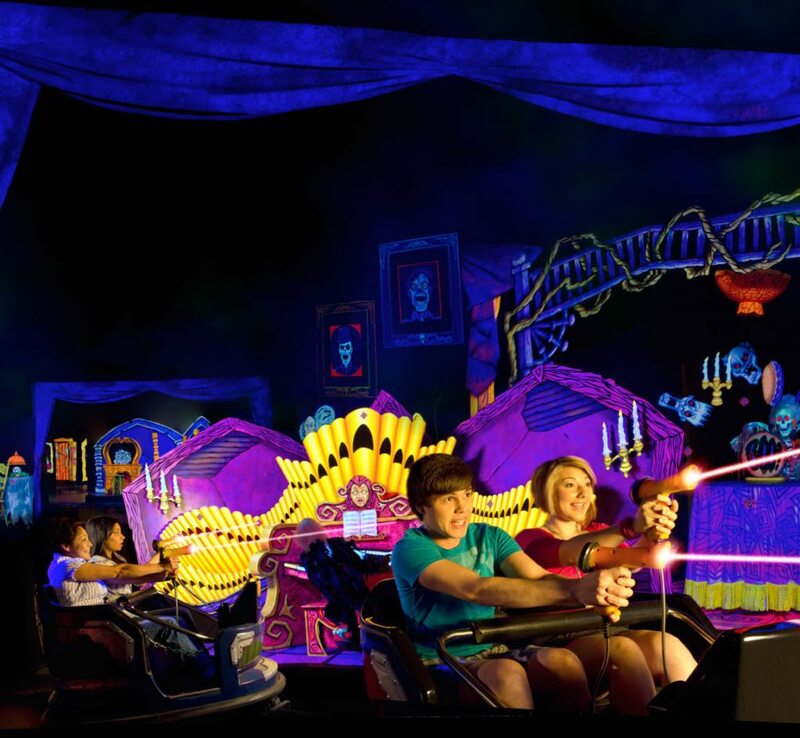 If you like a bit of a fright and you have a competitive spirit, then Ghost Blasters is the ride for you! Hop into a car with an opponent, put on the 3D glasses provided, grab ahold of your laser gun — and get ready to shoot some ghosts and ghouls through “Bleakstone Manor” — a black-lit adventure of fun! Try to beat your opponent to get the highest score by blasting away the highest number of “creatures of the night” with the most accuracy. Good luck! 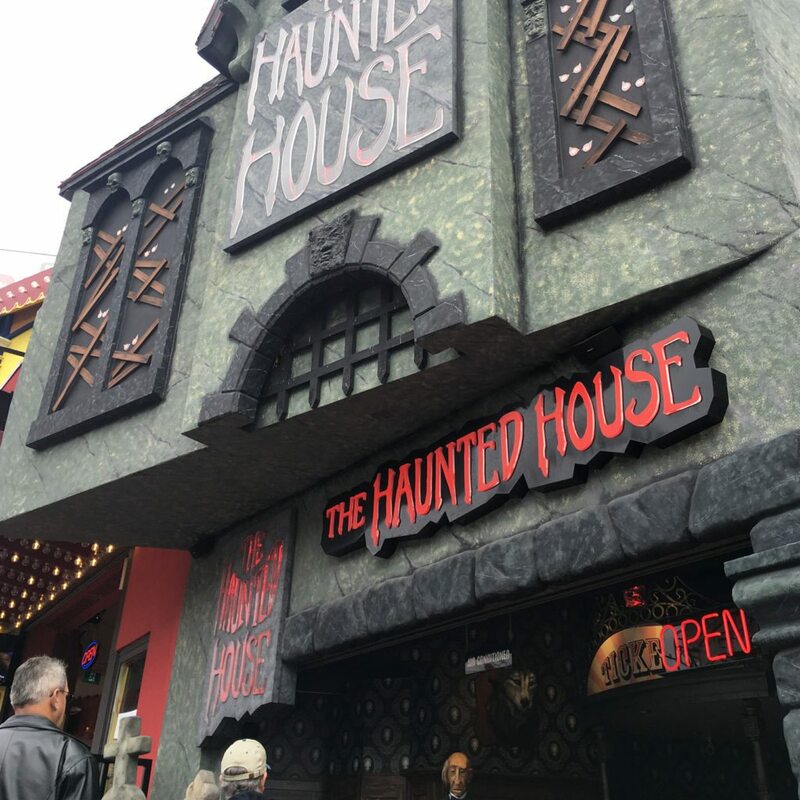 This is a haunted house with three “scary” levels to choose from, with 3 being the most frightening. Choose your level and enter — if you dare! 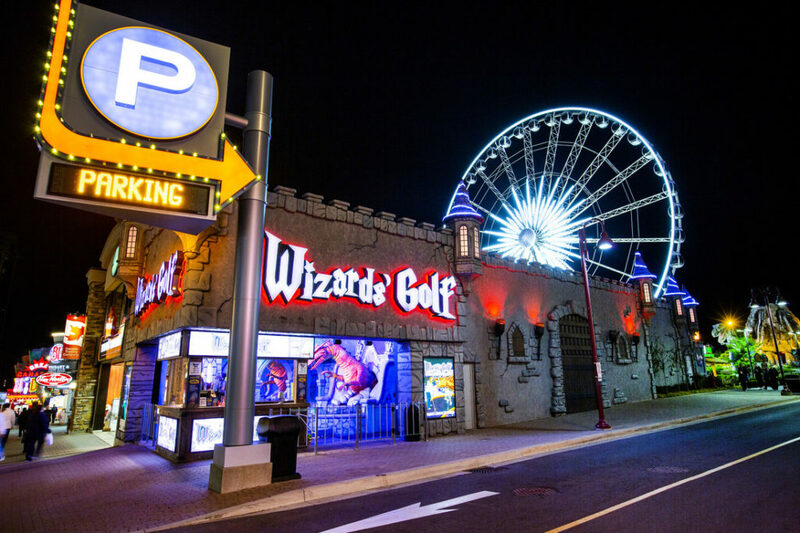 Clifton Hill’s “Wizard’s Golf” sends miniature golf fans on an incredible glow-in-the-dark adventure. This challenging 18-hole mini golf course showcases brightly coloured exhibits of Wizards, Trolls, and Dragons. Here there’s something interesting for everyone to enjoy. You’ll golf amongst wizards, trolls, fairies, castles and dragons; get lost in a medieval story of fantasy and wonderment. Expect the usual frights as you enter the “Haunted House“. Skeletons, ghosts, and ghouls abound in every corner! Are you brave enough to enter into the darkness? 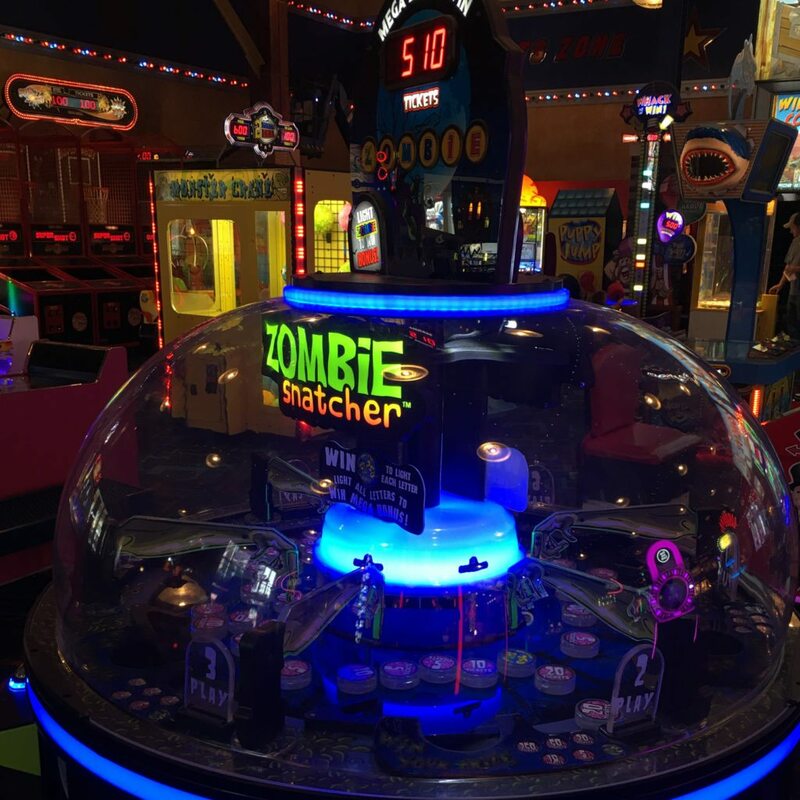 This is one of the newer and most entertaining “scary” arcade games that the Great Canadian Midway features. Based on the wildly popular TV show, you are armed with an authentic crossbow controller. Take aim to take your shot at the undead and rescue the innocent. 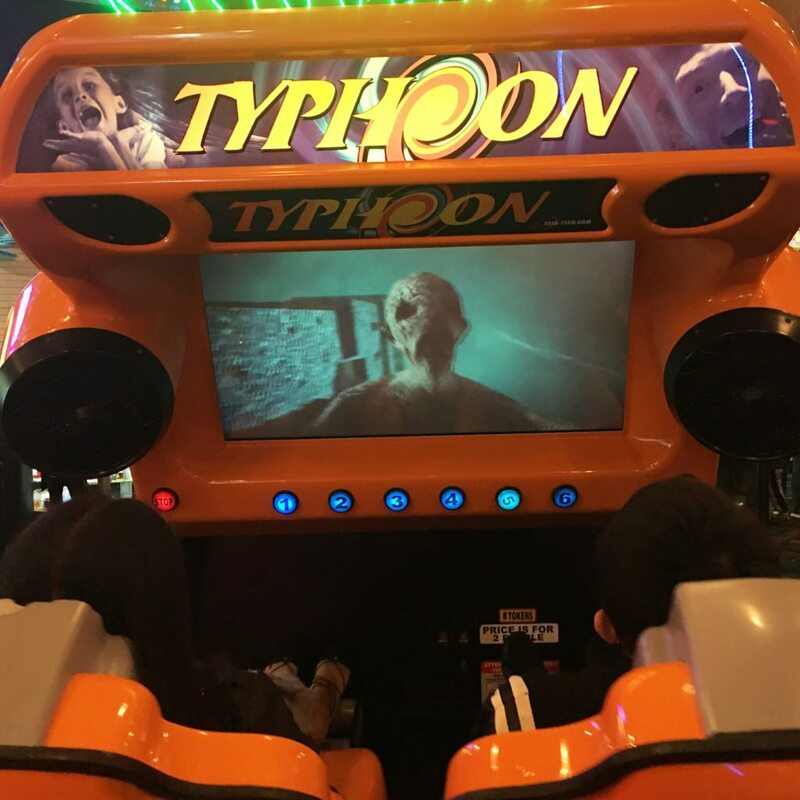 Typhoon is a coin-operated motion simulator ride found in the Great Canadian Midway. 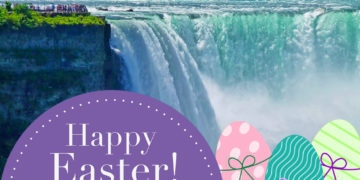 Motion, wind, and amazing graphics are presented. 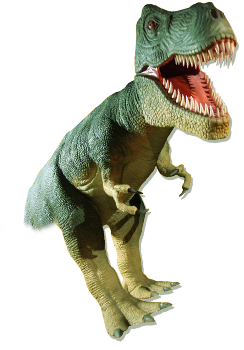 There are 16 different “rides” to choose from — with some options being met by some frightening creatures…. 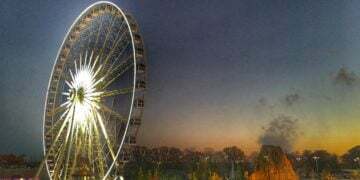 If you like this one, be sure to try out the Wild West Coaster also located in the Great Canadian Midway (and as part of the Clifton Hill Fun Pass). 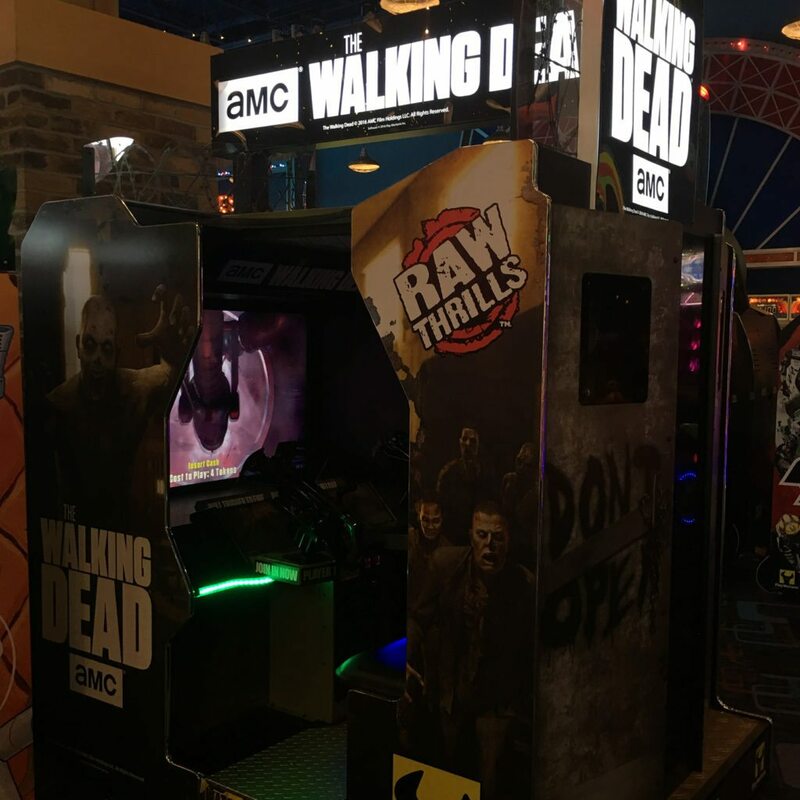 Okay, so the only thing scary about this arcade game is the name, but still worthy enough to put on this list! 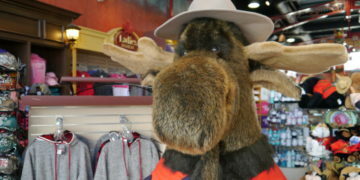 Found in the Great Canadian Midway, it’s a great one to win tickets to redeem for prizes. 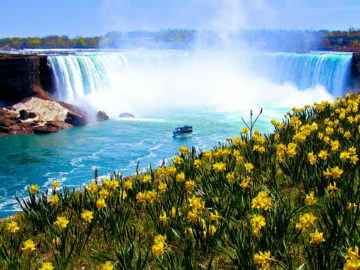 CANADA’S LARGEST MINI GOLF ATTRACTION!!! 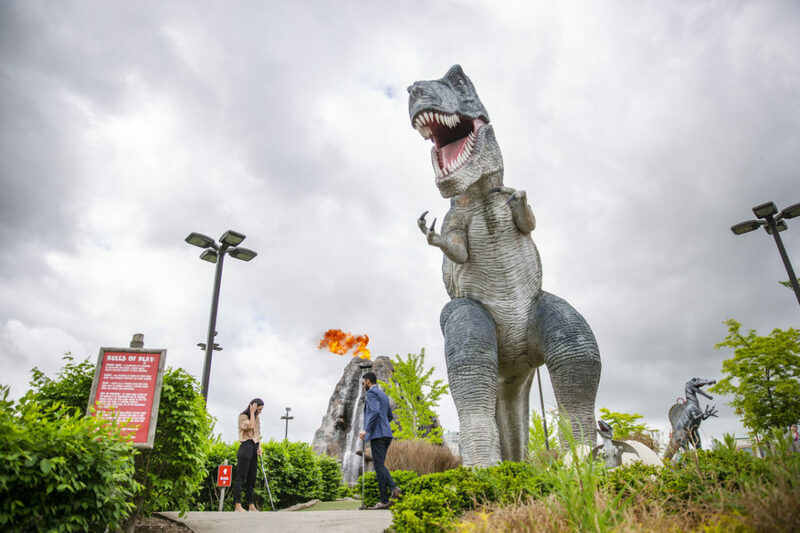 As one of the nation’s largest miniature golf courses, Dinosaur Adventure Golf features two 18-hole courses: “Raptor” and “T-Rex” (A Total of 36 Holes); 3 distinct decorative ponds with fast-moving rapids and bubblers; and a 50 foot high “active” steam-erupting volcano that lets golfers play directly through a realistically eerie, cavernous volcanic interior on their way to the 18th hole. 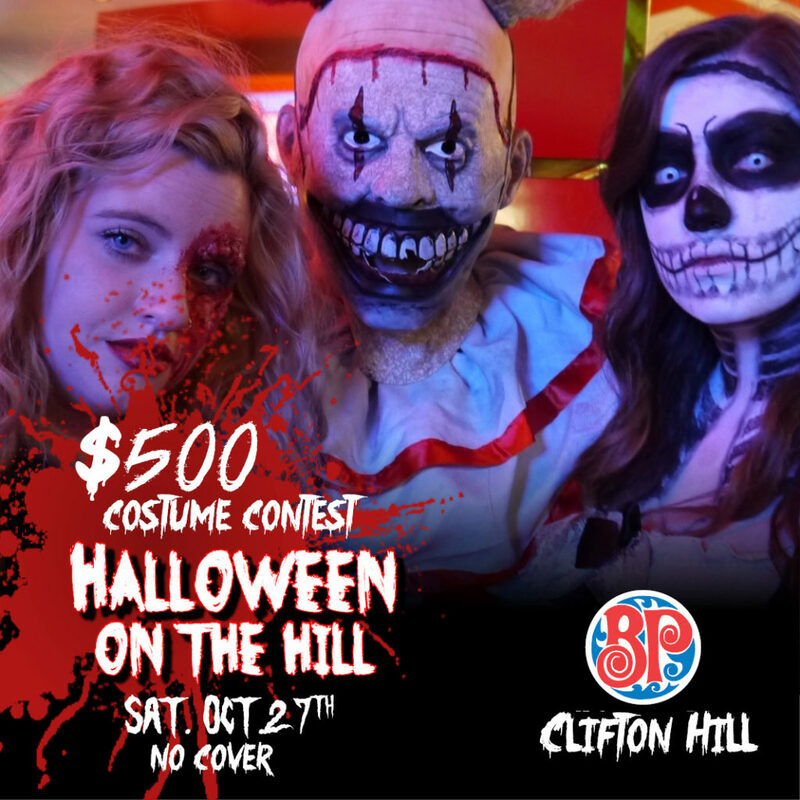 We’re giving away a grand prize for best costume at this year’s Halloween on the Hill event held at Boston Pizza Clifton Hill… a package worth $500! DJ Pete will be setting the mood with the killer Halloween beats! We encourage everyone to dress up in your BEST costume. 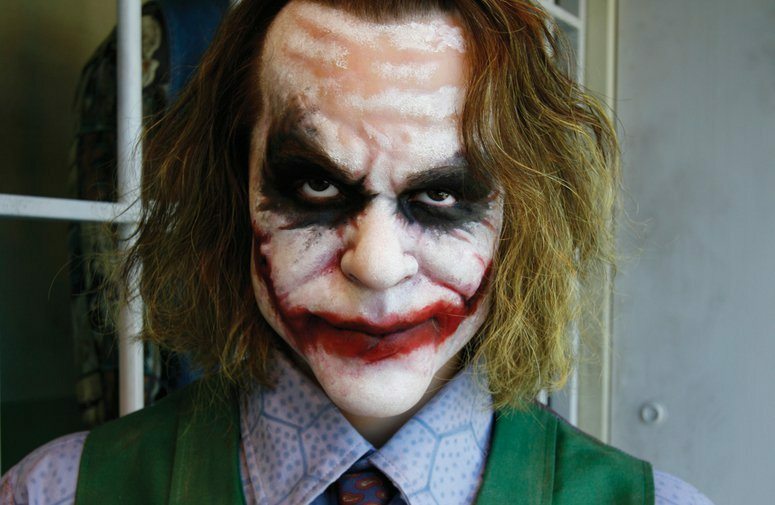 Please know you must register no later then midnight for the costume contest…. Trick or Treat!! !